Office 365 is the most popular application used by businesses across Australia, as the nation aligns with Microsoft in the cloud. That’s according to new Businesses @ Work report findings released by cloud-based identity management company, Okta, which uncovers the ten most popular apps and services used by Australian business customers for productivity. After Office 365, online file sharing and content management service for businesses, Box, is the second most widely used app across the country, followed by Amazon Web Services and G Suite. “Microsoft Office 365 has increased its lead as the most popular app in our network this year,” Okta co-founder and CEO, Todd McKinnon, said. “There has been massive growth in Australian users of Microsoft’s flagship cloud-connected suite since 2015, which far outstrips other cloud-based apps, including JIRA, Box, Amazon and G Suite. According to Okta, Office 365 is also the number one lifecycle management app today - although Box and G Suite are not far behind. 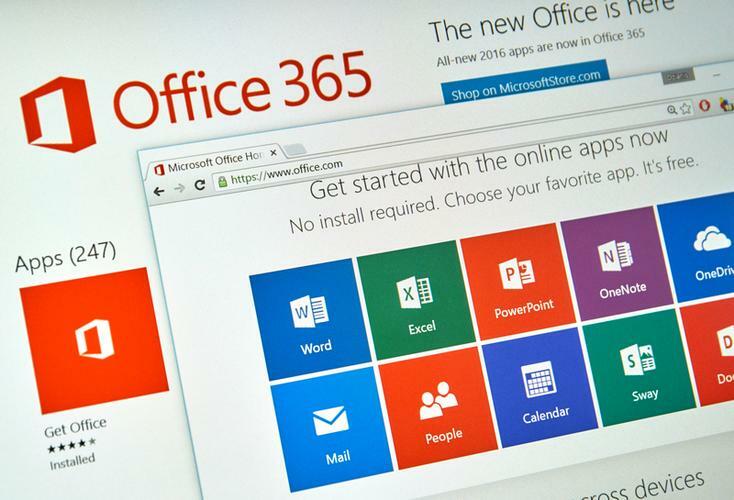 Additionally, McKinnon said Office 365 is “far and away” the most popular app accessed by Okta customers on mobile devices. Based on its data, Okta said that no two apps have been more greatly impacted by Slack’s success than Yammer and HipChat, with both platforms continuing to steadily decline in popularity throughout 2016. Findings pointed to Microsoft’s announcement to discontinue selling Yammer as a standalone product in 2017 and its new attempt to reinvent the platform as Microsoft Teams as a mitigating factor in the decline. Meanwhile, video and web conferencing platform, Zoom, was the fastest growing app in the past six months, growing by 67 per cent, followed by Cisco Umbrella, which grew 47 per cent. Slack came in third with 44 per cent growth, an “impressive feat” after being deemed as the “Fastest Growing App” for Okta’s past two reports, findings stated. In addition, cloud security vendor, Zscaler came in fourth after experiencing 43 per cent growth. According to Okta, IT is most often automating the apps that are typically issued company-wide such as Office 365, Box, and G Suite. The report also showed that automating lifecycle management is critical with apps containing sensitive data, where users can be immediately deprovisioned if need be. This includes Amazon Web Services (with new code), Salesforce (sales figures), Zendesk (customer service issues and requests) and Dropbox (documents stored). According to Okta, G Suite customers use 30 per cent more apps on average than Office 365 customers (29 apps compared to 22). Delving deeper, data shows G Suite customers are more likely to use apps like Salesforce, Slack, Amazon Web Services, and GitHub than their Office 365-subscribed counterparts. “They’re adopting apps to meet specific needs versus investing in an entire cloud app stack up front,” the report said. Whilst Microsoft Active Directory (AD) has been the de facto standard directory in the workforce for over a decade, Okta said the shift of many companies to cloud, has raised the question of whether enterprises will continue to use on-premises directory. Based on the data, roughly 16 per cent of customers in Okta’s network don’t use AD or LDAP today - a slight increase from 2 years ago. Additionally, more than 30 per cent of SMB customers in the Okta Identity Cloud don’t use AD or LDAP, the report found. Okta said that, as these companies grow and mature, they may never deploy a traditional on-premises directory, indicating that usage in large organisations may decline.